The ARK Group is a multifaceted conglomerate of companies that focuses on mixed-use developments that often include an element of public entertainment. The ARK Group family of companies is structured to compliment, support and facilitate the projects of each individual company within the conglomerate. Innovative marketing and promotional concepts, sound fiscal management, and an exacting eye for details have been the cornerstones of ARK Group’s continued success. The ARK Group’s extensive experience in the real estate and entertainment industry includes the construction and management of residential developments, multi-themed entertainment complexes, live music venues, restaurants and nightclubs, the production of music festivals, arena concerts, and TV specials for HBO and Cinemax. The four primary divisions of the ARK Group family of companies are: mixed-use residential and entertainment real estate, concerts and special events, nightclubs and restaurants, and advertising and public relations. 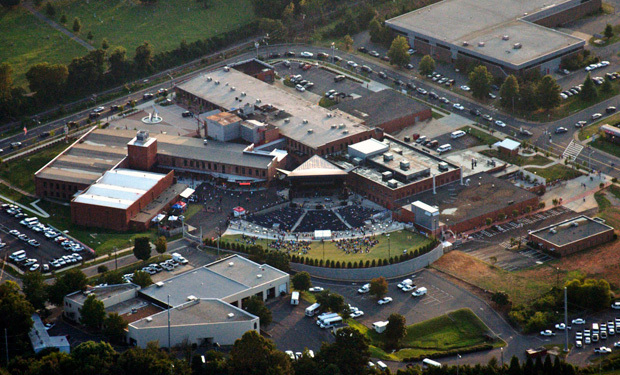 ces, restaurants, nightclubs, live music venues, a comedy club, a motion picture studio, and the Northwest School of the Arts, operated by the Mecklenburg County public school system. The ARK Group’s concert and special events division has produced countless fashion shows, festivals and special events as well as hundreds of live concerts. ARK Group produced CityFest Live! in Charlotte, N.C., a three-day music festival that showcased seventy musical performers on ve outdoor stages. CityFest Live! was attended by more The nightclub and restaurant division is responsible for the design, construction, daily operations, management, and marketing and promotion of nightclubs and restaurants developed by the ARK Group. ARK Group has created several unique nightclub and restaurant brands including Level Nightclub, World Mardi Gras, Gators, Flashbaxx, Brewski’s, and Key West Dueling Piano Bar. Level, located in South Beach Miami, was named nightclub of the year by Bar and Nightclub Magazine as well as many other national publications. It was the most successful and highest grossing nightclub in the world in the early 2000’s. The advertising and public relations division of the ARK Group handles all in-house public relations and marketing for ARK Group projects and special events. In addition, ARK Group has done promotions and public relations for ARK Group’s continued success.concerts and special events, nightclubs and restaurants, and advertising and public relations.School of the Arts, operated by the Mecklenburg County public school system. grossing nightclub in the world in the early 2000’s. many other prestigious events including working with more than 35 fortune 500 companies.